Dr. Ruan is the Director of Center for Biorefining and Professor of Bioproducts and Biosystems Engineering Department at the University of Minnesota, and Fellow of ASABE. He has published over 400 papers in refereed journals, books, and book chapters, and many other meeting papers and reports, and holds 18 US patents. 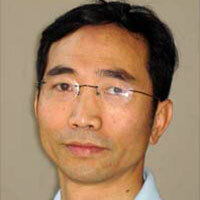 He is also a top cited author in the area of agricultural and biological sciences. He has supervised over 80 graduate students, 110 post-doctors, research fellows, and other engineers and scientists, and 12 of his Ph.D. students and 8 other post-doctors hold university faculty positions. He has received over 170 projects totaling over $40 million in various funding for research, including major funding from USDA, DOE, DOT, DOD, and industries like ABC. He has served as guest editor and/or editorial board member of Bioresource Technology and many other journals, and Editor-in-Chief and chairman of the board for International Journal of Agricultural and Biological Engineering.